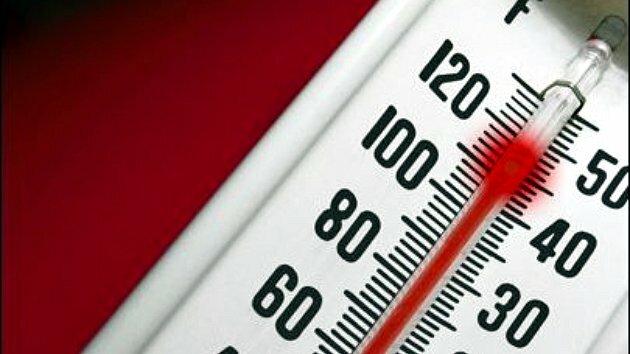 Summer Heat: 21 Tips to Beat It! How to Beat the Summer Heat (without A/C)? Take a second to think about the most memorable things in the summer. In my mind, I’m thinking about picnics at the park, hanging out on the beach, and chilled beverages (like tasty homemade iced tea). However, summer heat is dangerous. We’re talking about the real dog days of summer, when the extremely intense heat is pounding and the humidity makes it impossible to sit comfortably, be outside for more than a few minutes and sleep well through the night. The most obvious answer for comfortable, cool, REM sleep is a functional air conditioning unit. These modern cooling machines will most likely keep a bedroom at the optimum sleeping temperature (which is between 65 and 70 degrees Fahrenheit), and on top of that, provide some nice white noise. Unfortunately, even small window a/c units use up lots of energy and can really be a sore on monthly electric bills. So what’s an ecofriendly, budget-conscious person to do? Living through an extremely heated summer without air conditioning might sound impossible but, hey, our grandparents did it and we can too! Turns out, the earlier generations learned a few things in the process. Read on for some tips and do-it-yourself strategies on how to survive summer heat and staying cool on extremely hot nights. Open your windows! Good air ventilation is essential. Use your fans properly. If you thought fans were just for circulating hot air, think again! Take your box fans, point them out the windows so they are able to push the hot air out. Adjust the ceiling fan settings so the fan blades run counter-clockwise. This will allow them to pull hot air up and out instead of just twirling it around in your bed room. Choose the best sheets for summer. White bed sheets, made of bamboo fabric, are extremely breathable and excellent at wicking away moisture in the bed. Stick your sheets in the freezer. We recommend placing your sheets in a plastic bag for a few minuted before bed. Granted, this won’t keep you cool all night, but it should definitely provide a brief moment of relief away from the heat and humidity. Dampen a sheet. In very cool water, dampen a sheet and use it as a blanket. We recommend spreading your damp sheets on top of a dry towel to avoid soaking your mattress. Sleep in the buff! Sleeping naked during a heat wave is the way to go however, but we’re going to allow you to make the personal choice as to whether you go all the way, wear undies, or a t-shirt. Create a cross-breeze. In your bed room, position your fan across from the window. If the wind from outside and the fan combine, it will create a cooling cross-breeze. If you aren’t worried about your energy bill, go wild and set up several fans throughout your bedroom to make the airflow even more intense. An oldie but a goodie! This cooling trick is straight out of the icebox era. Make a “do it yourself” air conditioner by positioning a shallow pan or bowl full of ice cubes in front of a fan in your bed room. The breeze will pick up the cold water and cold air from the ice’s surface as it melts, creating a cooling mist. For immediate cooling, apply several ice packs or a cold compress to your pulse points. Your pulse pints are at your wrists, neck, elbows, groin, ankles, and behind the knees. Use the Chillow. We’ve heard that this high-tech pad stays cool through water circulation. It really sounds like cool (pun intended). Sleep alone! The fact of the matter is, spooning creates and holds body heat. Cuddling increases body heat and makes the bed sweaty instead of being cool. Set up an old hammock or simple cot bed. Both of these sleeping options are suspended on all sides and will increase airflow. Do not cook food over the stove. Summer is definitely not the time of year to whip up a piping soup or baked chicken. Instead, you should eat cool, room-temperature dishes like salads, to avoid generating any more heat in the house. If hot food is in order, use the BBQ outside, instead of turning on the stove or oven. Eat small meals that are easy to metabolize. Try to limit the red-meat consumption. Fill up on water. Before going to bed, be sure to drink a glass of water. When you are tossing, turning and sweating all night you can get dehydrated (eight ounces is the perfect amount). Instead of spooning in bed, take a cool shower with your partner. A cold shower takes on a whole new meaning in the summer. Rinsing off under a stream of cool water brings down your body temperature and rinses off sweat so you can hit the sheets feeling fresh and cool. Stay low. In a multi-floor home, or apartment, sleep in your basement be cause hot air rises. In a one-story house, bring the mattress down from a sleeping loft or high bed to the floor. Turn off the lights. This is pretty self-explanatory. Light bulbs (even environmentally-friendly CFLs) give off heat. Fortunately for us, in the summer, the suns is out until 8pm or 9pm and we do not need them. Take advantage of the natural sunlight as much as possible. Keep rooms cool after dark by using lights as little as possible or not at all. Flashlights or a few candles can be effective. Unplug at night. Literally disconnect all electronics at night. All gadgets and other small appliances give off heat, even when turned to the “off” position. So, to reduce the temperature in the house and save on energy, keep sockets free from devices when your appliances are not in use. Camp at home. Use a roof, a courtyard, or a backyard as a sleeping area. Pitch a tent and sleep under the stars. Sleep in spread eagle! This position is best to sleep in the hot summer because it allows air to circulate around your body. Trade in that extra deep, comfy soft mattress for a straw or bamboo mat. Prices are very low for these 2 all-natural sleeping options and although they are not as comfortable, they do not hold heat like a puffy mattress do. You have to choose, soft and sweaty or hard and cool!